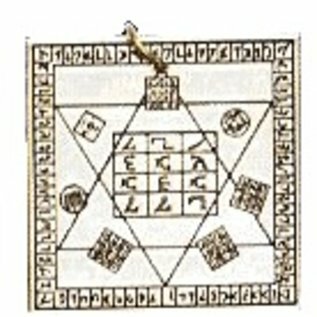 Devised by Dr. Dee, the famous 16th century magician, this powerful amulet is worn for Psychic Protection and as a guard against Danger and Misfortune. Made of brass and copper. Approximate size: 11÷2" x 11÷2". Made of brass and copper. Approximate size: 1”" x 1”".